1. 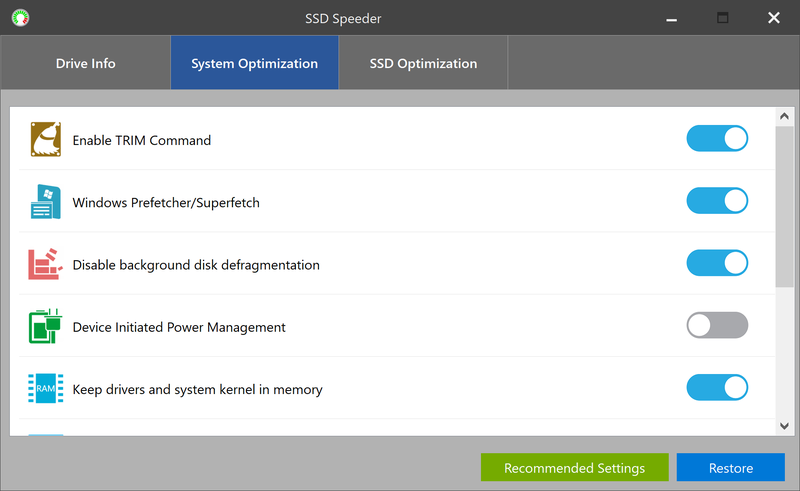 The SSD Speeder optimizes your system to improve your disk performance and reliability. This tool can also optimize your system by adjusting some system options. Driver infor window shows your SSD drive summary. 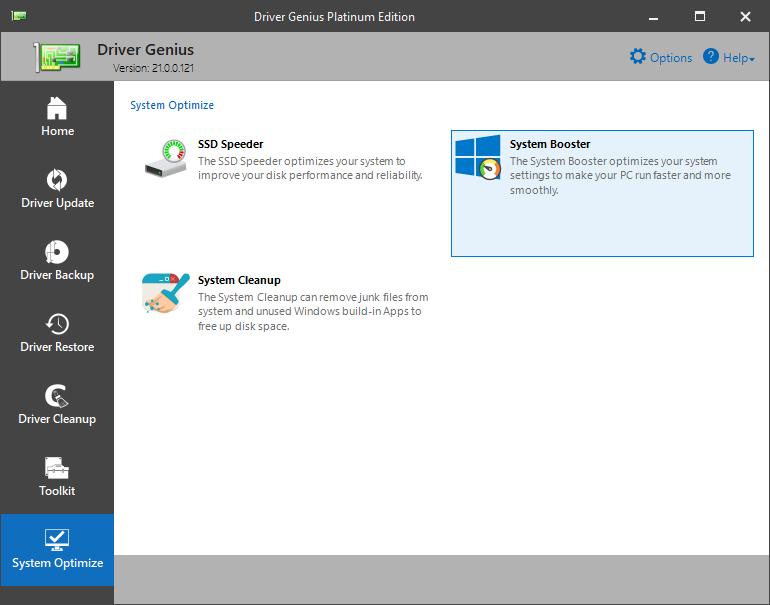 The System optimization tool can optimize your system by adjusting some system options. Just click the 'Recommended Settings' button to optimize system easily. 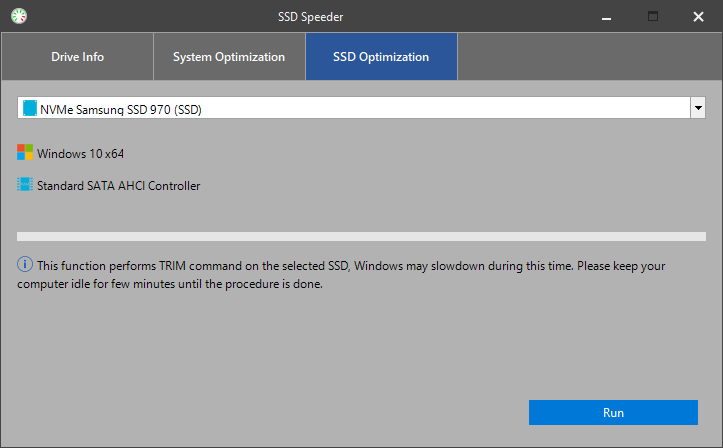 This function performs TRIM command on the selected SSD. 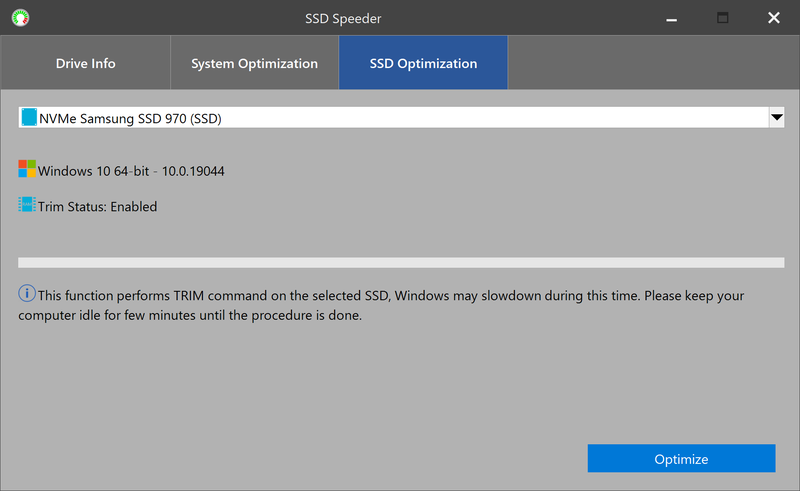 The TRIM command allows an operating system to inform a SSD drive which blocks of data are no longer considered in use and can be wiped internally. After trimming, the SSD will not preserve any contents of the block when writing new data to a page of flash memory, resulting in less write amplification (fewer writes), higher write throughput (no need for a read-erase-modify sequence), thus increasing drive life. 2. 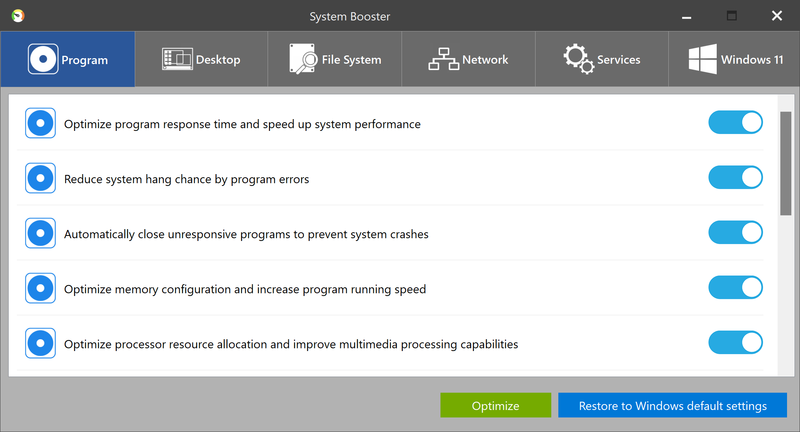 The System Booster can optimize your system performance by adjusting some system options and servers. Click 'System Optimize' --> 'System Booster' to run. You can restore to the windows default settings anytime in case of any problems.